I’m going VEGAN!! !….for a week. My love for cheese is holding me back from completely changing my eating lifestyle, but I want to challenge myself nonetheless. 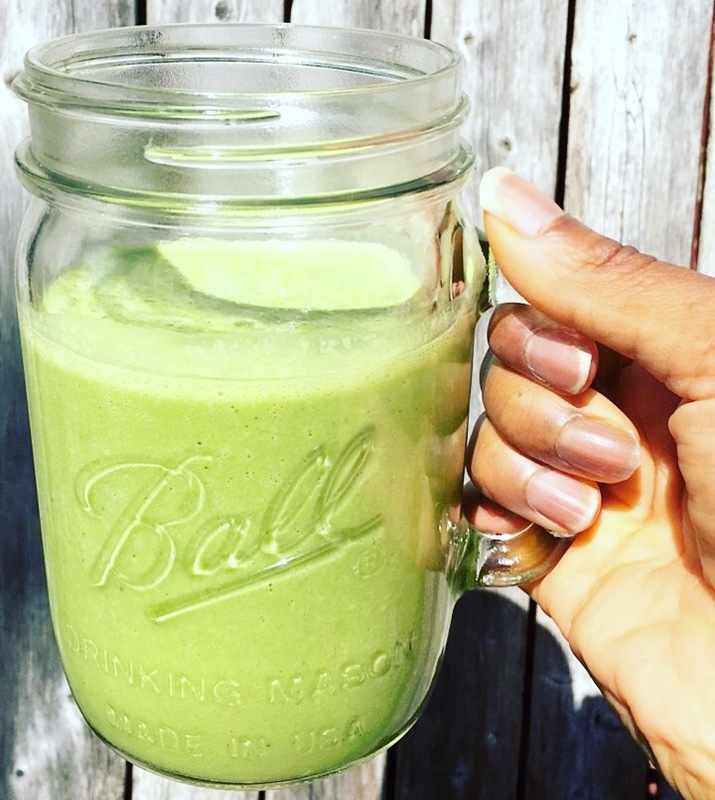 What inspired me to go vegan for a week? Well, my 9 year old daughter was really excited about this movie she had watched on Netflix called Vegucated. She asked almost every day last week to watch it with her. Finally she just put her laptop on the kitchen table and turned it on while I was eating. She was definitely determined to get me to watch it. Lol. Vegucated is a documentary about 3 meat eaters who are challenged to eat vegan for six weeks. Throughout the six weeks they would learn about what veganism really is as well as where their food comes from. It was quite an eye opening experience for all of the participants. It was an eye opening experience for my daughter and I as well, as we sat watching the film while munching on our chicken legs. I actually lost my appetite for chicken after watching it. After viewing the documentary, I suggested we try going vegan for a week. Sage was all in and immediately started researching veganism and vegan recipes. She’s ready! Let’s do this! 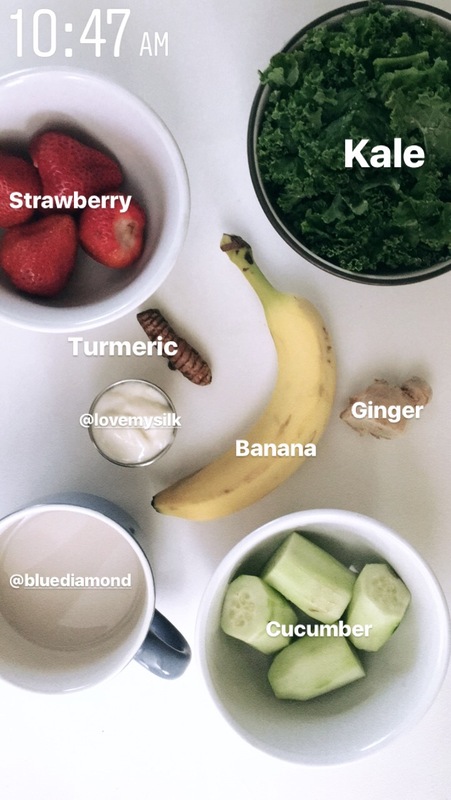 Today we started our journey with a breakfast smoothie. I know. Nothing too excited, but you have to start somewhere! It was a really good smoothie and it fully satisfied my hunger. I got a little hunger around noon so I made some hummus. Soooo easy to make. AND it was really good too! I enjoyed mines with some fresh cut carrots. They were perfect with the hummus. Just a side note about the hummus. It’s REAL garlicky. If that’s not your style, I would cut it down to one clove of garlic. If you don’t mind the garlic, just have a couple pieces of peppermint ready when you’re done eating. You’ve been warned. Throw in the Nutribullet and blend until smooth. 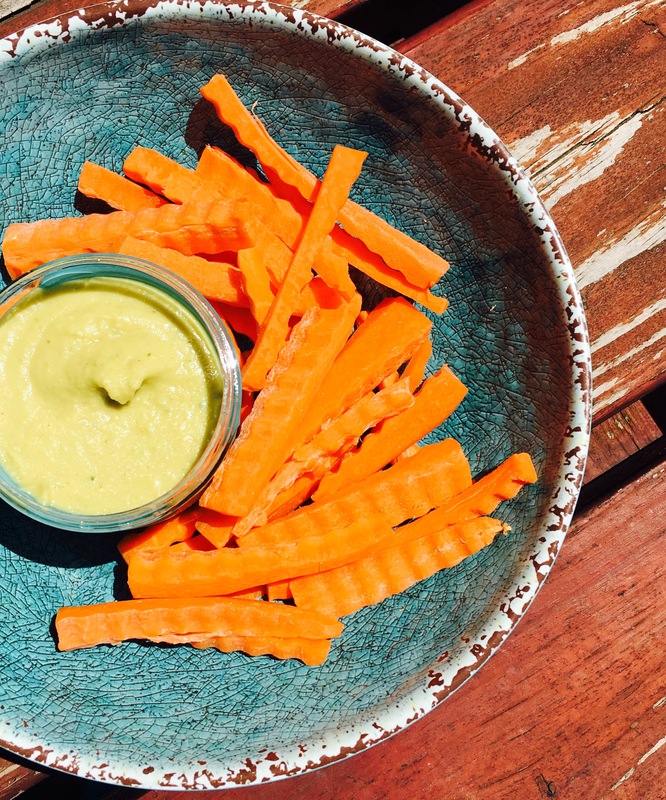 Gather fresh veggies, dip and enjoy! After running a few errands, I went to check out a store here in Toledo called Fresh Thyme Farmers Market. It kind of reminds me of Sprouts Farmers Market we have in Atlanta. They even have double ad Wednesdays. Anyway it’s a really cute farmers market. As I walked around I got a tiny bit hungry. Again. I decided to grab a frozen burrito from the freezer department since I noticed that Fresh Thyme had a microwave in their eating area. 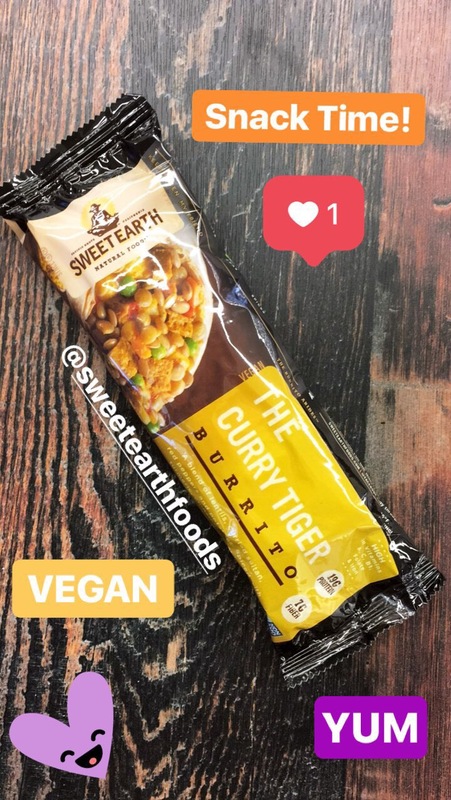 I went with the Curry Tiger Burrito by Sweet Earth. Soooo good! 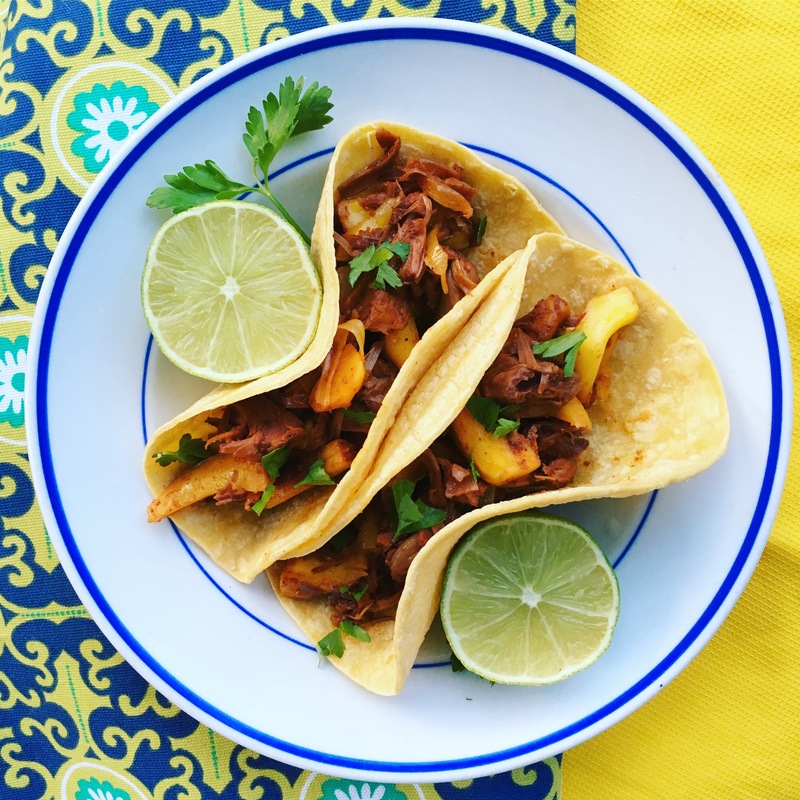 I ended the first day of my Vegan for a Week challenge with an oh so delicious Jackfruit Taco. Yummy! If you have never had Jackfruit before you have been missing out! It’s soooo good! While I was at Meijers the other day, I found a company called The Jackfruit Company. They had several flavors of Jackfruit. It was hard to choose. I went with the Tex-Mex Jackfruit. Awesome choice I must say. I also add some fresh Jackfruit pods to it when I warmed it up. Very tasty. Once done I put the mixture on a corn tortilla, squeezed a bit of lime juice on top and devoured it. It was so good! One day down!! I actually enjoy my first day being a vegan. Check back tommorrow see what next on the vegan menu!